Fireflies and Jellybeans: I Love Avocados!! I love Avocados from Mexico! It's true, my family LOVES them... like big puffy heart loves them! They are such a yummy treat that is also healthy. My daughter will eat up avocados like they are candy. Did you know that Avocados are a fruit? Yep - they totally are! Did you also know that avocados have the vitamins and nutrients essential for child development and growth? Yep- Just 3 slices of this creamy green fruit packs potassium, fiber, folate, vitamin C, E and those B-complex vitamins that support memory and brain function! I knew I liked avocados for a reason! I am making my guac of our Super Bowl party! I love avocados on Facebook! And I shared my love with my friend my sending a virtual gift of Authentic Guacamole! :) They also have some fun screen savers and wallpapers too! Be sure that you spread the love too on Facebook or on Twitter @guacgrl. 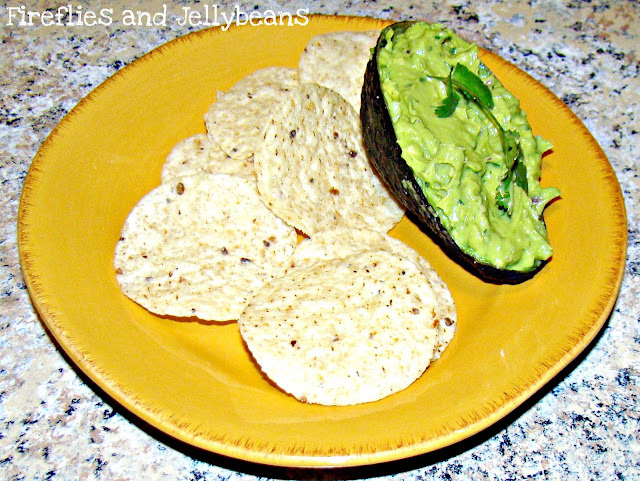 Avocados are such an easy way to add flavor and nutrients to a meal! I would love to see if you have any yummy Avocado recipes to share! Link up your favorite avocado recipe below!